The German Bundeswehr is planning to deploy its soldiers in Lithuania as part of NATO's mission aimed at "containing" possible Russian aggression, German media reported. According to German magazine Der Spiegel, the German military will be deployed in Lithuania after the next NATO summit in Warsaw in July. During the meeting, NATO countries plan to make a decision on strengthening the eastern flank of the alliance. 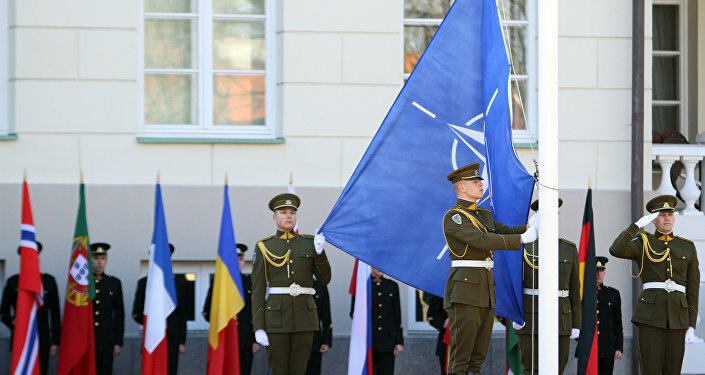 The mission involves deployment of a permanent NATO contingent in the Baltic States, Poland and Romania. Each country is expected to host a battalion of up to 1,000 soldiers. "Ahead of the meeting in Hanover, Obama had signaled that he, particularly, expects military contributions from Germany and the UK," the magazine wrote. On Friday, German Defense Ministry spokesman Jens Flosdorff confirmed media reports about German military's readiness to engage more broadly in protecting NATO's eastern frontiers. "There are various models under discussion within NATO. One of them envisages entrusting Germany, as a framework nation, with deploying forces to Lithuania," the spokesman said, adding no final decision had been taken yet. According to Der Spiegel, the Bundeswehr is currently planning to send some 1,000 soldiers to take part in the NATO mission in Lithuania. The article noted that German Chancellor Angela Merkel has expressed such proposal on April 25 at the Hanover meeting with the leaders of Britain, France, Italy and the United States. "There are early discussions on the issue taking place as well as the voting in NATO," a representative of Germany's Defense Ministry told dpa. "Decisions will be made during the NATO summit in Warsaw." Earlier, Der Spiegel wrote that in this regard Berlin has been a subject to a strong pressure from Washington. 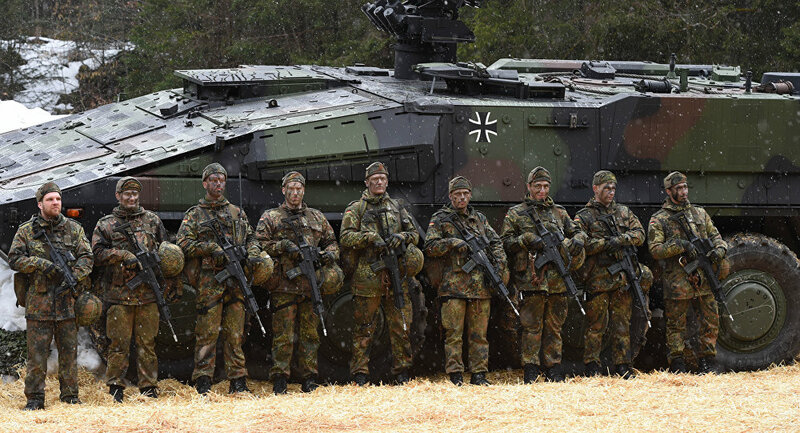 At the same, Germany is trying to follow a cautious stance on military issues, since the Bundeswehr has already been involved in the formation of the NATO Response Force. The issue of strengthening NATO's eastern borders has recently been raised by Lithuania's President Dalia Grybauskaite. After her visit to Berlin on April 20, she told Frankfurter Allgemeine Zeitung that she would ask for an increase in the military presence of the alliance at the NATO summit in July. Russia's Permanent Representative to NATO Alexander Grushko said earlier that the actions of the alliance in Eastern Europe worsen the security situation. According to him, NATO countries are trying to impose a confrontational scheme which will lead to retaliation from Moscow.